Turn PDF documents into any Windows supported file formats with simple clicks. Wondershare PDF Converter Pro for Windows is fully compatible with Excel, Word, PowerPoint, EPUB, HTML and image formats. Convert PDF files to various frequently used formats flexibly. Converted files are widely supported by common programs. Password protected PDF documents also can be converted easily. PDF files with the permission passwords have the restriction on copy, edit, and print, however you can unlocked this kind of PDF documents to be converted in just one step. However, if PDF files with open passwords to prevent opening, then the open password will be needed in order to be converted. Wondershare PDF Converter Pro is one of the most versatile PDF converters in the market due to its robust core implemented with many additional key features. You can find everything you need in this program to meet your conversion requirements. It enables you to combine various files in different formats to one PDF document. File management will be much easier. Select flexible output options, and let the software convert files at great speed. Stability remains uncompromised. Present converted files in original layouts and formatting without affecting in any way how images and font appear. Highly-customized PDF solutions offered to businesses of different sizes, helping you grow your business. Highly-visual menus and buttons for minimum use of commands to achieve comprehensive PDF conversions. Choose a range of pages to convert flexibly, fully meet your needs and save your time. 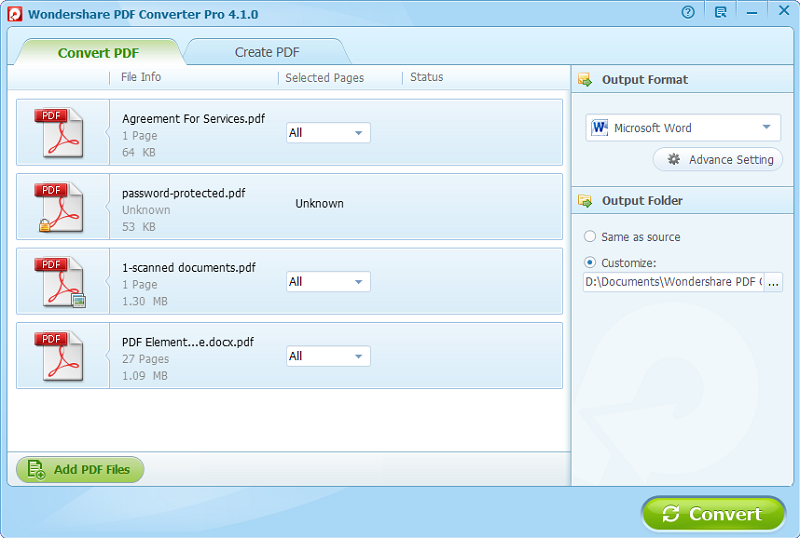 I was amazed at the way Wondershare PDF Converter Pro handled all my bulk PDF conversion jobs. The software went about its business producing perfect results every time. I have my own way of working with PDFs. 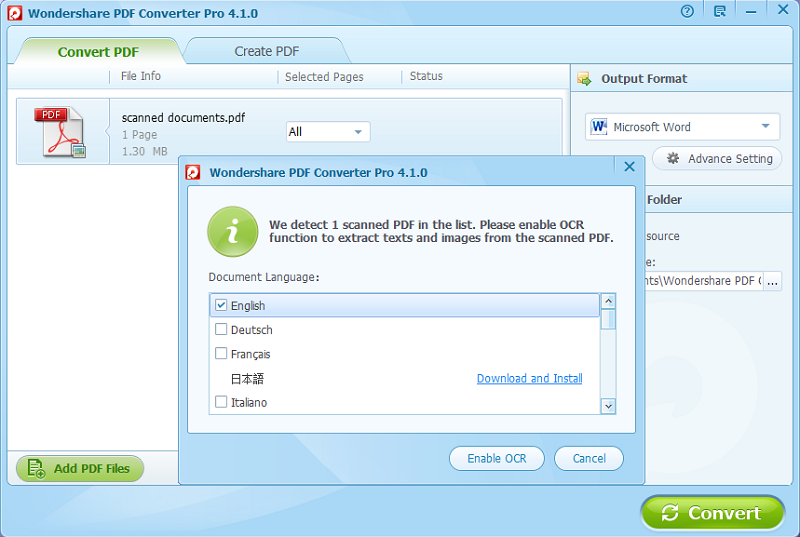 What Wondershare PDF Converter Pro did was not just give me flexibility but also save me a lot of time in the bargain. Very affordable.